One of the world’s biggest investment platforms will officially provide its clients with the option to partake in Bitcoin Futures investing as of December 18. The Chicago Mercantile Exchange (CME) Group, the world’s single largest options exchange platforms, has just announced that their Bitcoin futures contracts feature will become active on 18 December 2017. Last month, CME Group, stated on their dedicated Bitcoin futures website page, that the Bitcoin futures feature would launch on December 10. However, this announcement was later confirmed to be an error. However, the company confirmed that its very first self-certified Bitcoin futures listings would become available on December 18. According to CME Group CEO and chairman, Terry Duffy, the company is thrilled to be one of the first traditional platforms to make Bitcoin futures available to its clients. Duffy stated that CME Group partnered with several key players in the Bitcoin industry, including the CFTC, in order to provide its clients with a platform that is transparent, safe, and convenient to use. Duffy emphasized that the Bitcoin futures feature was created to allow CME Group’s clientele a more regulated and protected way of discovering and participating in the cryptocurrency industry. All new Bitcoin-related features will be made available on CME Group’s Globex electronic exchange platform. In addition, the firm plans to launch Bitcoin futures on their Clearport platform on December 17, which will become activated the next day. All Bitcoin futures options listed by CME operate by referencing the CME CF Bitcoin Reference Rate (BRR) and all listings will be cash-settled. The BRR is received by calculating the average BTC/USD price across several exchanges. According to Duffy, CME has created a detailed process to facilitate Bitcoin-related exchanges that address the multiple issues that are common in the cryptocurrency industry. In addition, Duffy stated that the firm will continue to monitor the Bitcoin market closely, as it is still a new and volatile market, and continue to work with the Commission and their clientele to provide an optimum service. The firm stated that all their Bitcoin-related products will come with a host of risk management solutions and tools to offer the client maximum protection. CME’s Bitcoin futures will offer users a 35% margin, as well as daily price updates and limits. CME Group will also implement several other risk management tools and credit controls. 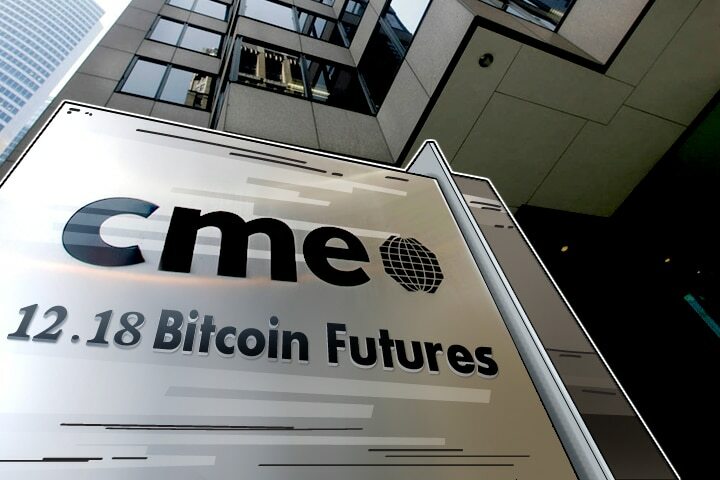 CME Group worked closely together with the firm Crypto Facilities Ltd in order to facilitate several features incorporated in its Bitcoin futures listings, including the calculation of the BRR. The daily calculation for the daily aggregated trade flow will be based on a closing time of 4 pm, London time. CME added that its BRR will use the unique “IOSCO Principles for Financial Benchmarks”. The platform also intends to implement other spot prices from prominent crypto-based exchanges around the world including, Bitstamp, Kraken, GDAX, and Itbit. More surprisingly, other mainstream exchange platforms have also announced that they’re investigating the possibility of implementing cryptocurrency-based options on their platforms. Reputable firms such as Nasdaq and JPMorgan & Chase, are reported to start announcing their own Bitcoin futures options in the foreseeable future. Previous articleCryptocurrencies (besides Bitcoin): What Do They Do? And Where Is The Market Headed.